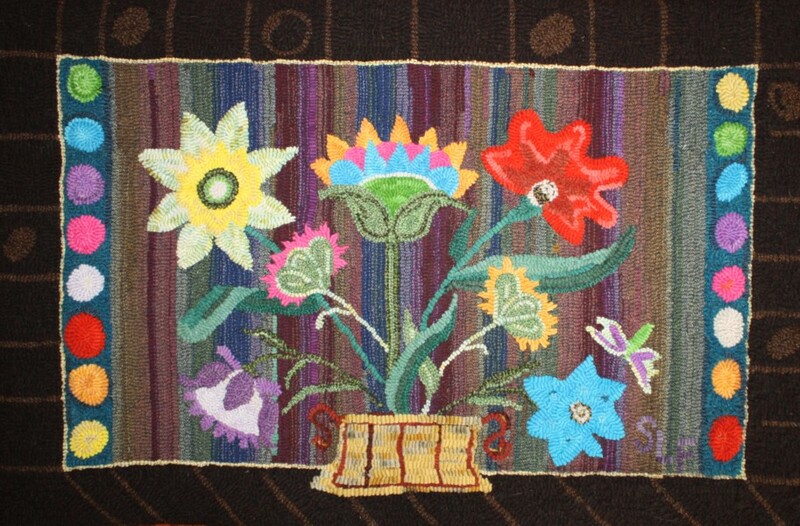 Published August 5, 2013 at 913 × 600 in Summer Bouquet in Wool. notice the vase is dull and you can not see the handles. The purple flower is a resting place but not singing with others.